Today I’m sharing the newest editions to the Gridlock Lacquer Rochester, NY collection, these 3 polishes are the Summer 2015 colors. These polishes will have Rochester themed names, so if you know anyone from Rochester let them know they’ll be needing these lol I’m obviously a huge neon fan so I was excited to swatch these babies, let’s get to it! 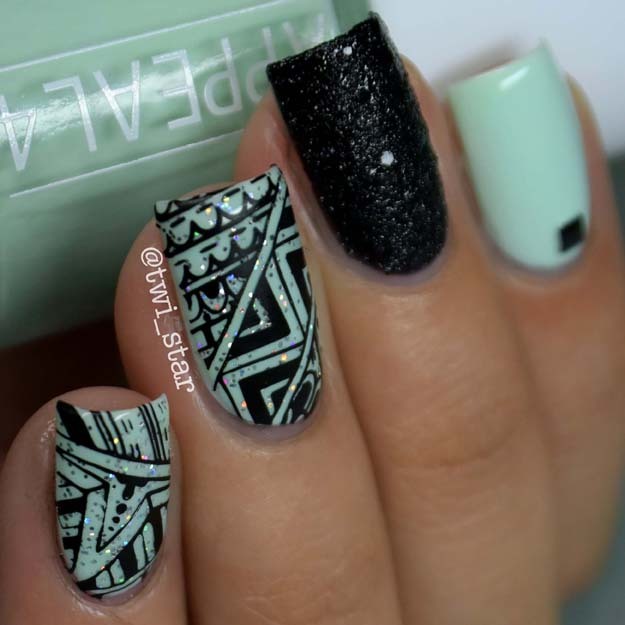 Above mani features a new stamp plate from Bundle Monster Shangri-La plate BM-S109. 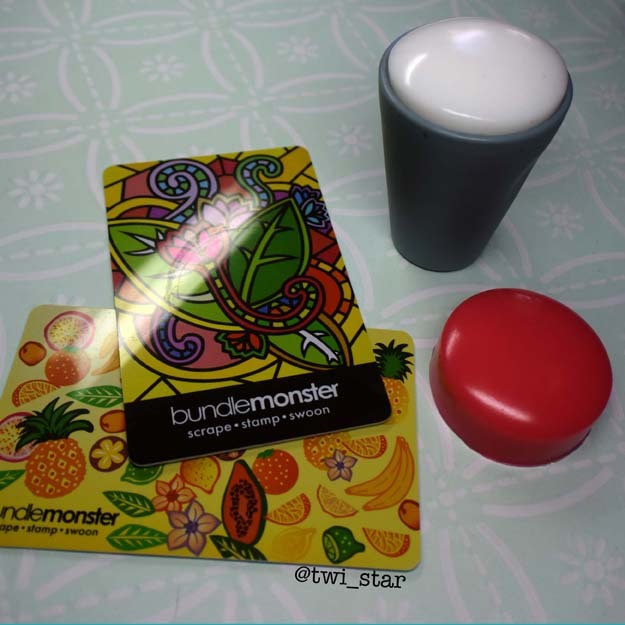 Today I have a new stamper and plate set from one of my favs Bundle Monster! 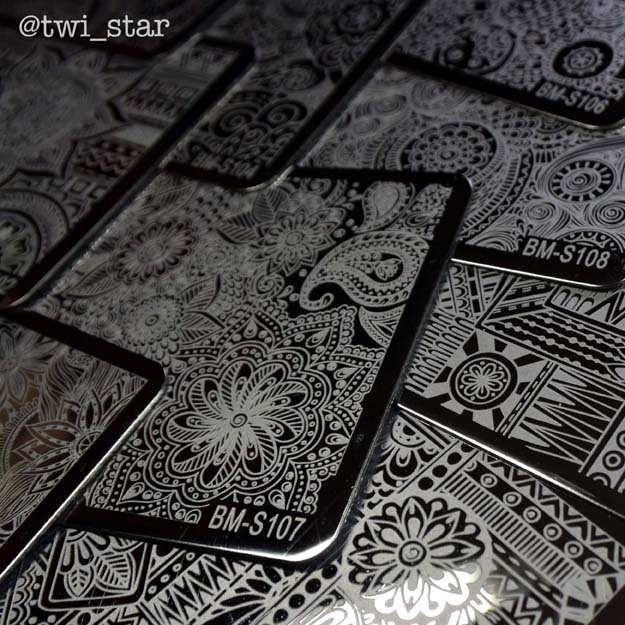 I’ll be reviewing the Shangri-La 10 Piece Stamp Plate Set and the Mega Stamper & Scraper Set. I have really been loving everything Bundle Monster has been putting out lately, they really speak to my polish soul lol To be honest, they had me at Shangri-La! When I think of Shangri-La I envision an exotic paradise with beautiful rich colors and intricate designs all romantic like. 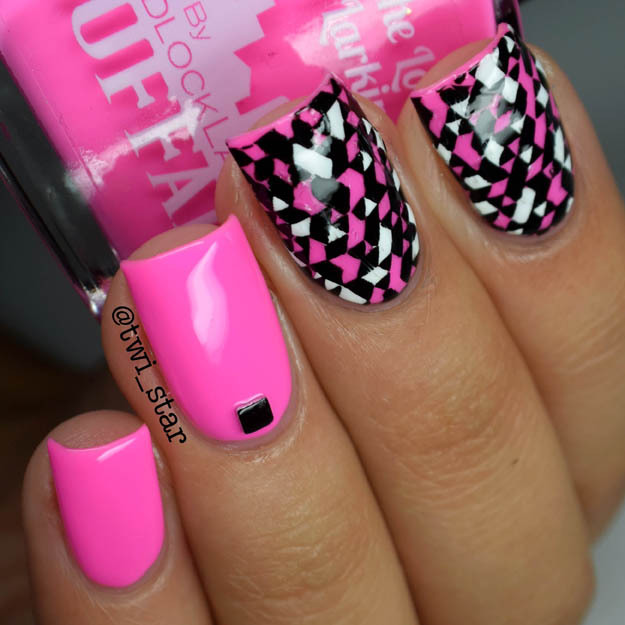 Who doesn’t want that on their nails?! Ok, let’s look at the plates first. Here are the pics of the plates from Bundle Monster. 10 gorgeously designed plates that are abstract florals and patterns. They have a bit of a tribal or Aztec feel to some of them. These are right up my alley! 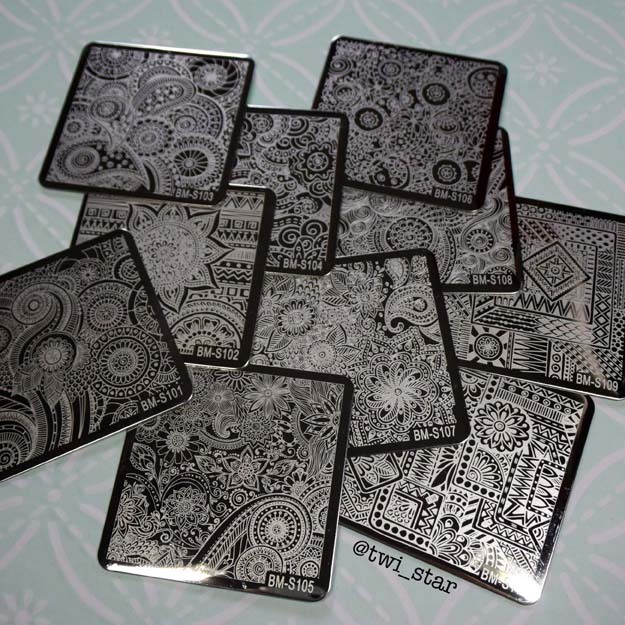 Here you can see the quality of the etching, they feel like all the other Bundle Monster plates I have. Along with the plates I was also sent their new stamper set, the Mega Stamper & Scraper Set. 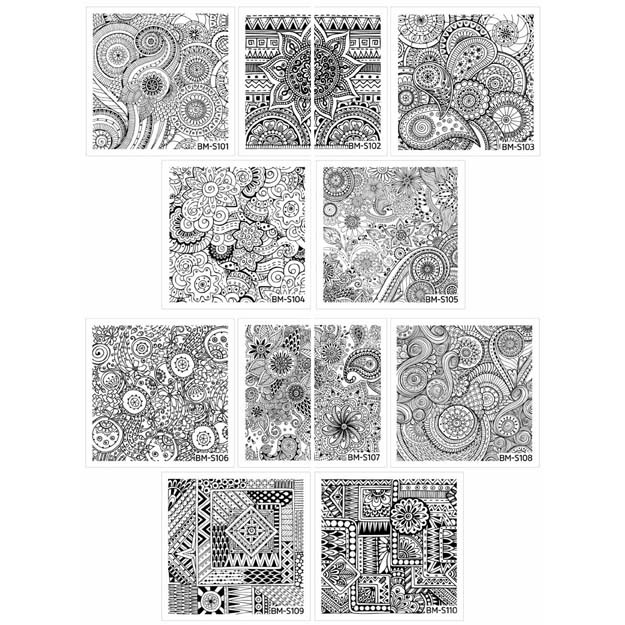 This set is Bundle Monster’s response to the larger squishier stampers that are flooding the nail art scene. It comes with a gray cup shape holder, 2 silicone stamp heads, and 2 credit card style scrapers. The scrapers that came with the stamper are 1mm in thickness just like a credit card. Bundle Monster does sell a .5mm more flexible scraper which I prefer as they give me a better scrape. I used the .5mm scrapers for the above mani and stamp swatches below. The scrapers have images of some of their stamp plates, and I think that’s a great touch! They say “Scrape. Stamp. Swoon.” also an adorable touch. Hey Everyone! 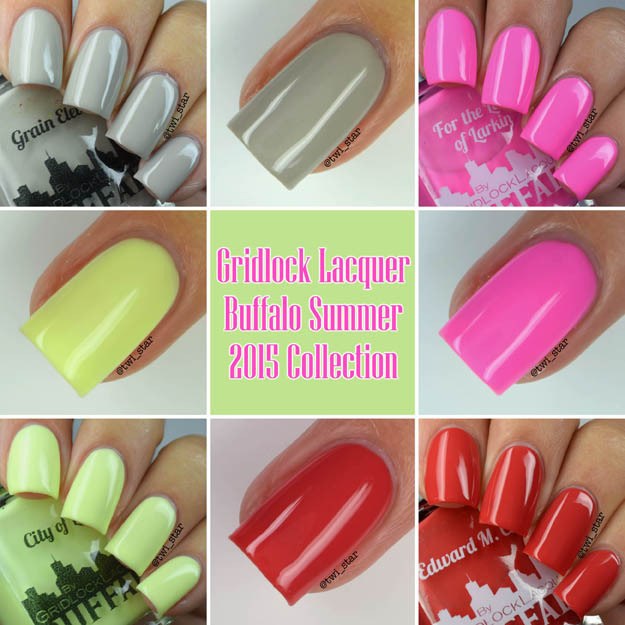 Today I am sharing the Summer 2015 Buffalo Collection from Gridlock Lacquer! I love posting about Gridlock Lacquer because it’s an indie polish brand based in my backyard: Buffalo, NY! GL is also one of the very first indie polish brands I bought and definitely helped get me into buying more indie brands, how cool right? AND I just love that there are polishes inspired by my city! Gridlock Lacquer has other city themed polish lines: Niagara Falls, Rochester, Pittsburgh, Cleveland, and the soon to be released Detroit. 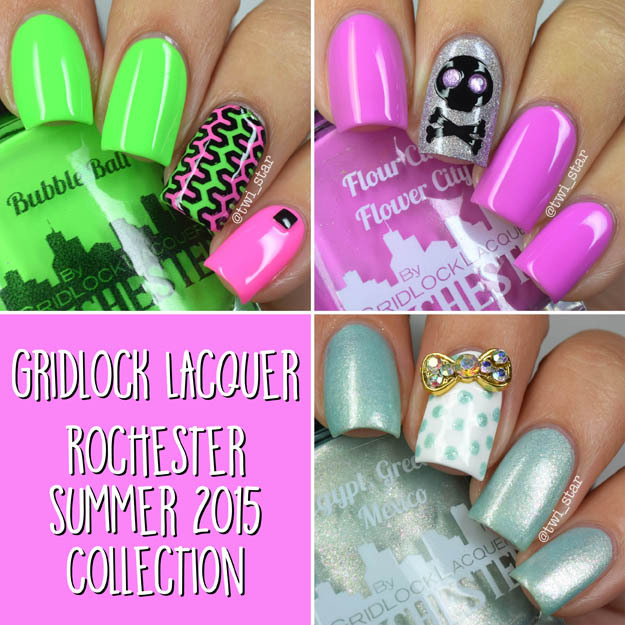 You can read more about Gridlock Lacquer in an article that was published in The Buffalo News! Check it out here: Kaisertown resident’s Gridlock Lacquer puts polish on city. Ok, let’s do this! Let's start out with a bang, this is my fav from the collection! 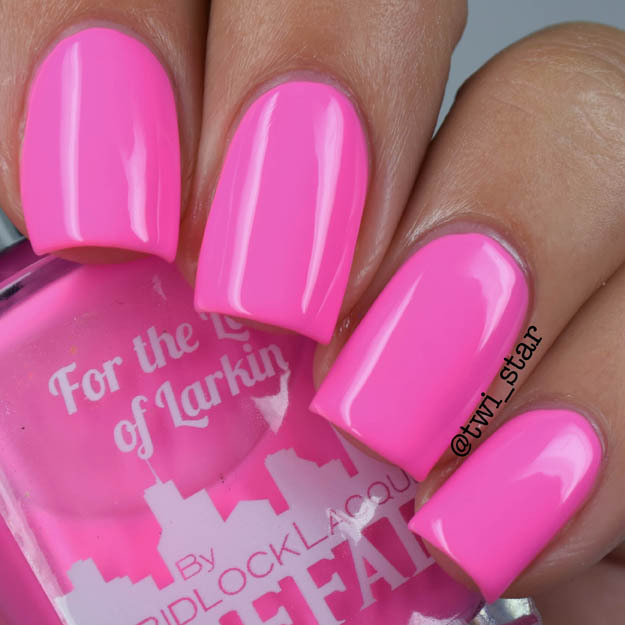 This is ‘For the Love of Larkin,’ a gorgeous blue toned neon pink. The Larkin Building was designed by Frank Lloyd Wright but was demolished in 1950, Larkin Square is right next door. Larkin Square is a pretty hip-happening place these days, you can even find Gridlock Lacquer setting up shop there and check out their awesome polish live and in person! This polish is everything and quite possibly will be on my favorites of 2015 list! Shown here with 3 coats. For nail art I did some reverse stamping using Winstonia Store stamp plate The Carnival with Bundle Monster Black Noir, and Rica Polish White Out. A nail art and nail polish swatch blog featuring all polish brands from mainstream to indie polish and the latest nail trends.